Free Pet HealthCare Advice - Online Resources | Pet Health . ThePetCenter com is a good example. Nutrition, diseases, breeding, boarding, tips on different health matters and general information are covered here. Sites like PDSA of UK and DrLarryPetVet com have an “Ask The Vet” Section and carry a PET First Aid resource for practical online help. Pet Health Articles Pet health articles are a useful way of getting basic information about the health needs of animals. Online sources like TalkToTheVet com and JudysHealthCafe com present visitors with essentials of health information like allergies and diseases of pets, intestinal worming, dental care, flea and tick control, care of newborn and young ones, harmful items and ways of feeding, useful nutritional supplements, pregnancy, housing considerations etc. Academic Channels for Free Pet Healthcare Advice Some websites like The Veterinary Library page of Cornell University, College of Veterinary Medicine, carry links to free information pages on in depth studies of pet heath issues. These are more scholarly articles and based on up to date scientific research in the related filed. Topics like genetics, drugs, oncology, diseases, nutrition, poisoning, and treatment of problematic conditions are covered along with providing useful links. Animal Discussion Forums There are sites like Petlovers com that offer a discussion forum on various pet health issues. After signing up for free, users can join discussion in a number of categories about their pets’ diseases, remedies, and personal experiences regarding pet health. This causes increased awareness among the users about daily observation of their pets’ behavior and health condition. Discussion is particularly significant in regular monitoring of pet health, something you cannot often bother the vet about. Newsletters To be updated periodically on advances in treatment of pet diseases and related problems, signing up for free e-mail newsletter is a good option. You receive free pet healthcare advice by means of care information and tips along with stories, jokes, and fun stuff. Sites like PreciousPets org will even send you helpful easy-to-make recipes for your animal friends. Those of you preferring non-conventional veterinary treatments need not disappoint. Holistic veterinarian services like those of Dr. Ihor Basko run free online pet advice through newsletter informing on treatment with herbs and acupuncture. Pet Directory Looking for free pet healthcare advice necessarily includes an online pet directory. Yahoo maintains a good pet directory with useful links and addresses of pet healthcare advisors and centers. Other sites like AvidPets com have their own pet directories and can be consulted accordingly. Several online veterinary sites provide free pet healthcare advice. ThePetCenter com is a good example. Nutrition, diseases, breeding, boarding, tips on different health matters and general information are covered here. Sites like PDSA of UK and DrLarryPetVet com have an “Ask The Vet” Section and carry a PET First Aid resource for practical online help. Pet health articles are a useful way of getting basic information about the health needs of animals. Online sources like TalkToTheVet com and JudysHealthCafe com present visitors with essentials of health information like allergies and diseases of pets, intestinal worming, dental care, flea and tick control, care of newborn and young ones, harmful items and ways of feeding, useful nutritional supplements, pregnancy, housing considerations etc. Some websites like The Veterinary Library page of Cornell University, College of Veterinary Medicine, carry links to free information pages on in depth studies of pet heath issues. These are more scholarly articles and based on up to date scientific research in the related filed. Topics like genetics, drugs, oncology, diseases, nutrition, poisoning, and treatment of problematic conditions are covered along with providing useful links. There are sites like Petlovers com that offer a discussion forum on various pet health issues. After signing up for free, users can join discussion in a number of categories about their pets’ diseases, remedies, and personal experiences regarding pet health. This causes increased awareness among the users about daily observation of their pets’ behavior and health condition. Discussion is particularly significant in regular monitoring of pet health, something you cannot often bother the vet about. To be updated periodically on advances in treatment of pet diseases and related problems, signing up for free e-mail newsletter is a good option. 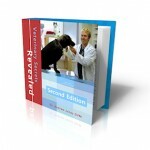 You receive free pet healthcare advice by means of care information and tips along with stories, jokes, and fun stuff. Sites like PreciousPets org will even send you helpful easy-to-make recipes for your animal friends. Those of you preferring non-conventional veterinary treatments need not disappoint. Holistic veterinarian services like those of Dr. Ihor Basko run free online pet advice through newsletter informing on treatment with herbs and acupuncture. Looking for free pet healthcare advice necessarily includes an online pet directory. Yahoo maintains a good pet directory with useful links and addresses of pet healthcare advisors and centers. Other sites like AvidPets com have their own pet directories and can be consulted accordingly.